Before your back doctor recommends surgery for spinal stenosis, he or she will likely attempt a number of non-invasive treatments, such as steroid injections and physical therapy. However, when these treatments don’t provide relief or if they are no longer sufficient to control your pain, surgery may be necessary. Spinal decompression surgery in Miami is the typical approach for spinal stenosis. 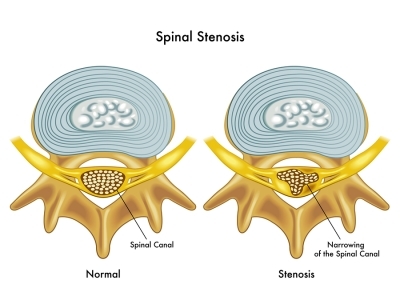 If your doctor recommends spine surgery for stenosis, here is what you can expect. Before your procedure, your back doctor may order a series of lab tests to ensure that you don’t have any health problems that could interfere with the surgery or recovery. He or she may also order additional imaging tests before the procedure to see the current condition of your spine. Because spinal stenosis can change, seeing a recent image will help your doctor prepare for surgery and avoid any surprises about the extent of the compression once surgery begins. It is important to follow your pre-surgery instructions carefully, as failing to do so could result in a delay in your procedure. There are multiple methods your surgeon can choose for decompression surgery, depending on the nature of your stenosis. Surgery is usually performed under general anesthesia or using a spinal block plus a sedative. Most patients undergo a laminectomy, during which the bones that are causing the compression are removed, or a laminectomy with a fusion to create greater stability in the spine. Your surgeon will explain the procedure he or she expects to perform before your surgery. You will likely need to rest for two to four weeks after surgery as you allow your spine to heal, and full recovery can take several months. Your surgeon will advise you when you can return to work and your usual activities. Although healing can be a lengthy process, spinal stenosis surgery usually has good outcomes, and many patients report almost complete pain relief.